Internet Money making is the most interesting and quick way to make money. With the increasing trend in the blockchain, companies and the individuals are curious to learn about it. There are scads of events being organised for Blockchains. Blockchain Economy Summit is one of the best events in 2019. Blockchain Economy Summit: Why Should You Attend It? The most in-depth blockchain and cryptocurrency conference of the region, with the best names of the field in the international arena, will take place on February the 20th of 2019 in Istanbul, Turkey. The investors dealing with blockchain and cryptocurrency, engineers and professionals from Turkey, Europe, Middle East and Central Asia will be attending the international “Blockchain Economy Istanbul Summit”. The Wall Street Analyst Tom LEE, the billionaire investor Tim DRAPER, the IOTA co-founder Serguei Popov, Malta’s consultant on Blockchain Cal EVANS, SpaceX Hyperloop winning scientist ILYAS VALI and the President of the Free Republic of Liberland Vit JEDLICKA, are in the list of main speakers of the conference. 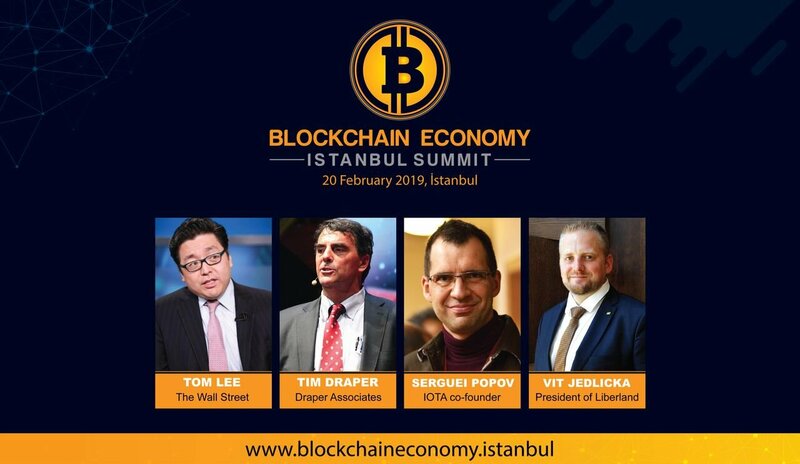 Tim DRAPER, one of the first investors of Tesla, Skype and Hotmail, and who was requested consultancy by Donald Trump on the cryptocurrencies regulation of the American financial system, joined the main list of speakers of Blockchain Economy Istanbul Summit! The attendees of the conference will listen to the best experts in the field about the greatest technological and financial revolution of the 21st century, will evaluate their opportunities of investing and will have a solid grasp of Blockchain sector. More than 5,000 attendees from 43 countries will attend the conference and more than 10,000 people will be watching live. The investors, entrepreneurs and professionals will league together to discuss the current cryptocurrency market and future of Blockchain technology. ●Panel Discussion: Will States Make Peace with Cryptocurrencies and Blockchain or will They Struggle Against? ●Bitcoin and the Other Cryptocurrencies: What are the Investors’ Next Step? 🔥🔥 Register for the Blockchain Economy Summit Now!! The Brand Marketing Summit Europe: Why Should You Attend It? Why World AI Summit Americas is a Must Attend Event?